According to market research, white papers are the first port-of-call for decision-makers when investigating a product. Decision-makers, such as CIOs and IT Managers, are under tremendous pressure to make the correct choice when choosing a products and/or service. Here’s a question. When you’re read something and you find yourself leaning in, pen in hand, ready to make notes. What is it that makes the reading matter so interesting? For me, it happens when I’ve found the answer I’ve been looking for. It’s actually that simple. Before you start writing your next white paper, use this checklist to see if there is sufficient interest in the topic. How do you know there is enough interest in your white paper to justify writing it? Why do we need to create an outline? An outline helps you with the following. What has Machiavelli got to do with white papers? You’d be surprised. 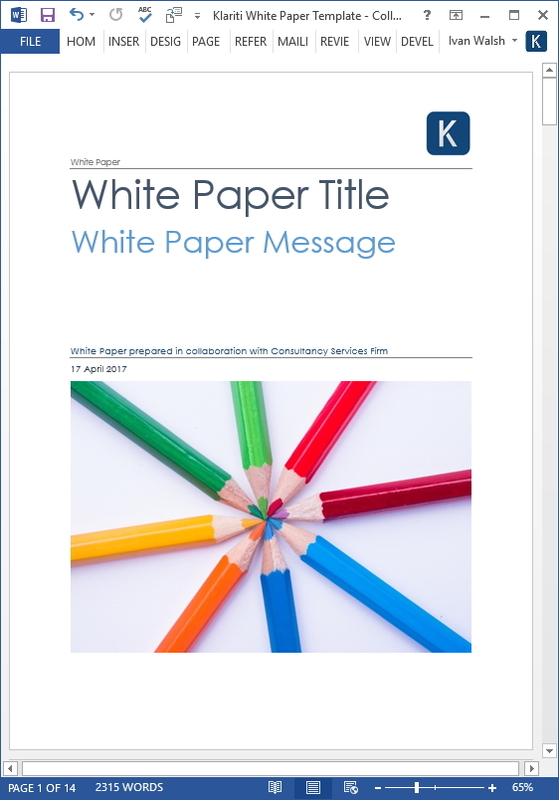 This video tutorial explains how to structure, format, and design your white paper to increase sales, establish authority, and generate sales. How to use Twitter, Facebook, and LinkedIn to write your white paper and use them to generates leads later on. Also explains how to use Quora and other social media sites to connect with influencers. Need to write an executive summary for your white paper? This tutorial shows you how to do this with lots of examples and tips. 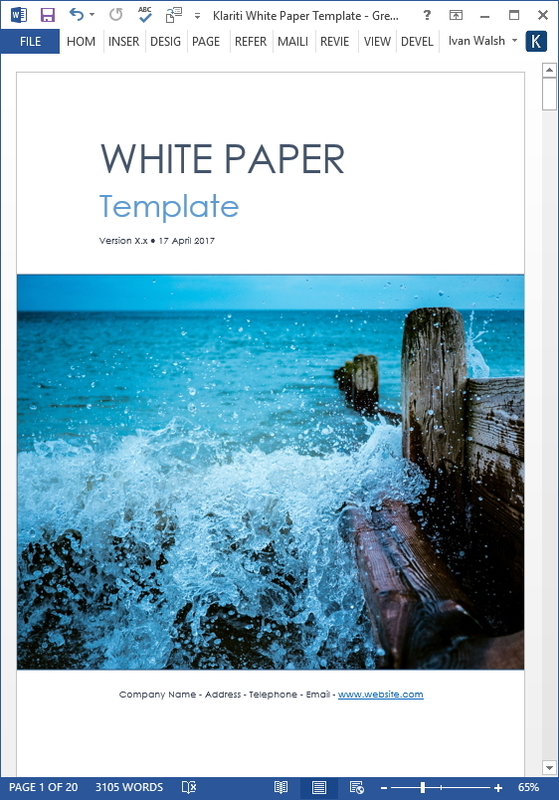 Our White Paper template pack includes 5 templates in MS Word™ format, which can be easily modified to meet your next project. You also get free tutorials on How to Write White Papers and How to Improve your White Papers.